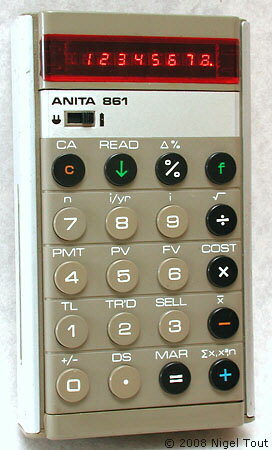 The calculator integrated circuit is Rockwell A4561PB. Circuit board of this example stamped 6 DEC 1974. 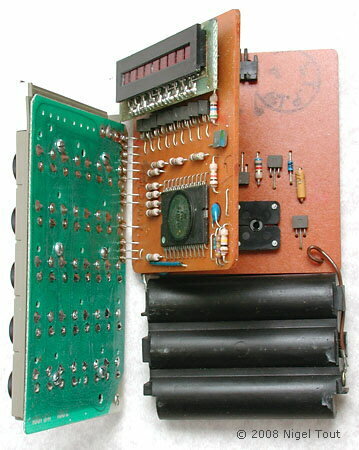 With the covers removed the three circuit boards can be seen. These are, from left to right: keyboard, calculation and display board, power and clock board.